This week's honoree from the boys cross country team is Jason Morse. The junior led his team to a first-place team win in Arizona, covering the course in 16:28 to place him sixth overall. Both the boys and girls teams came home with first-place team wins in the large school varsity division. Junior attacker Garrett Ritter scored two goals in the water polo team's nonleague loss against top-ranked Laguna Beach last Saturday. He also recorded 5 steals, 4 drawn exclusions and 2 assists. No. 1 singles player Faith Pearson won all 9 matches as the Nighthawks girls tennis team beat Chaparral, Riverside Poly and Temecula Valley on consecutive days. 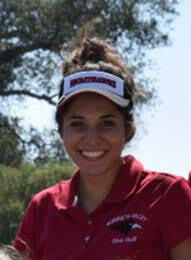 Anna Mitchell led the girls golf team to a victory over Murrieta Mesa last Thursay. "She works hard at improving her game and she works hard to achieve team success," said coach Rogelio Gallegos. 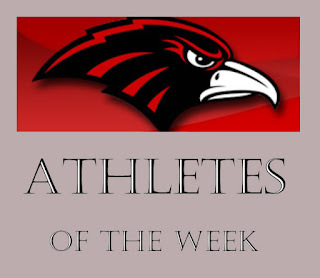 Coaches of varsity sports are invited to select one athlete per week and email the information to doug.spoon@gmail.com.